Poor Fable. Leaving aside Peter Molyneux's tendency to promise way more than his teams are able to deliver, the first two games were well-received by critics and players alike. But then Fable III happened. And then Fable Heroes happened. And then Fable: The Journey happened. And then Fable Legends was canceled, and Lionhead Studios was shut down. Despite all this, Fable yet lives on today, its downward spiral of a legacy tied to a new collectible card game on PC and console. Hey, at least it's not a battle royale. 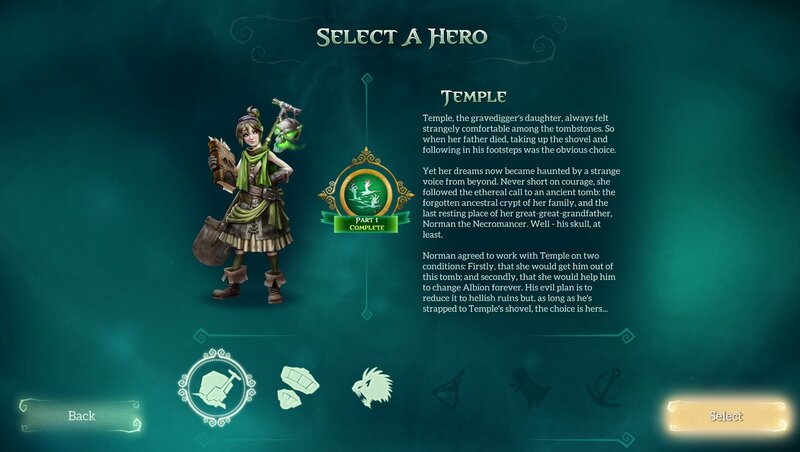 The gameplay loop of Fable Fortune is fairly simple. When building your deck, you select one of six heroes. Each has different types of spells that can be added to your deck, from healing to resurrection. All heroes have access to a shared pool of neutral creatures (more on that later). After building your deck of 30 cards, you can head into duels. Your Mana capacity, here called gold, increases by one automatically every turn, allowing you to cast stronger spells as the game goes on. 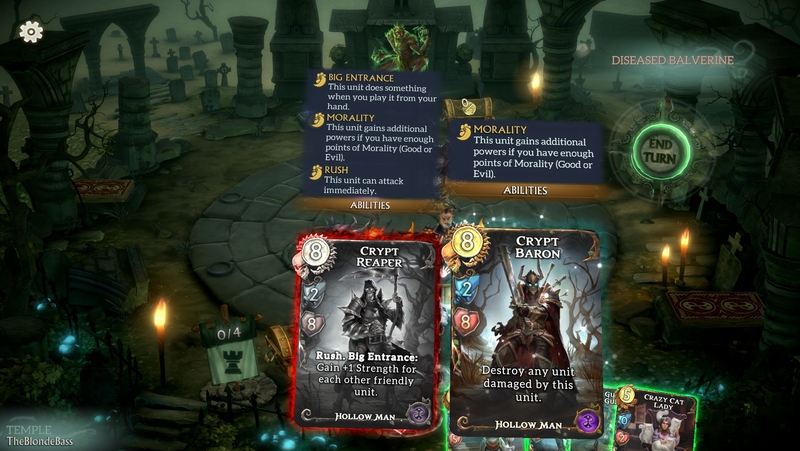 You can take actions in any order during your turn, from summoning creatures to attacking or using hero abilities. Each hero ability costs two coins and is basically a weaker version of that hero's signature spells. They can be triggered once a turn. When attacking with a creature, you can select any target, creature or player, as long as the opponent doesn't have creatures with Guard. As long as creatures with Guard remain, other targets cannot be selected. Any creature can have Guard for a turn at the cost of one coin, which makes the game a bit more defensive overall. 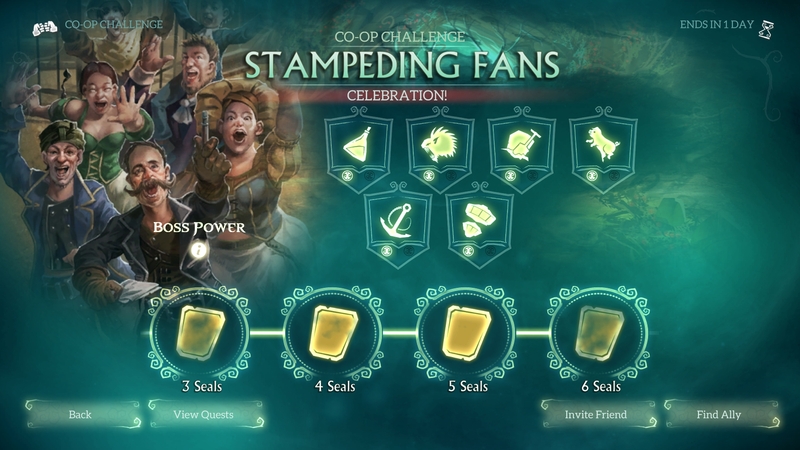 You have a choice between three missions at certain points in the match, like casting creatures with more health than strength or spending a certain amount of gold in total. Completing these missions gives you a card and allows you to choose an alignment between Good and Evil. Your current morality changes your portrait and affects your hero power. Some creatures are also affected. While this mechanic feels like Fable, it never seemed particularly useful after my first morality switch. Selecting evil multiple times does not give you more evil powers. As the resident necromancer, I found this to be a missed opportunity. I'll get right to my main issue with Fable Fortune. It's the least exciting card game I've ever played. All cards at launch are part of the Core set. They are somewhat beginner-friendly since they have very few mechanics and keywords... But there's a lack of noteworthy cards as a result. As I wrote earlier, all neutral cards are creatures. There are very few cards specific to heroes, and some of these are creatures as well. The result? Booster openings are extremely unsatisfying, each rewarding you with a ton of creatures that don't do anything of note. Some creatures can attack the turn they're played. Others get more strength, or more health, or can draw cards. That's pretty much the entirety of what you're getting with Fable Fortune. It's functional, and you can have some fun intense moments deciding whether to cast another creature or use your hero power. But it's not creative. You're not activating my neurons when I unpack an Epic card and it's a 2/8 Deathtouch for 8. Or when I unpack a Fabled card and it's an 8/8 Haste for 6. Uninspired cards across all rarities are not making me want to experiment with deck building. Beyond the unexciting core set, the whole experience was pretty dull. Fable might not have been the best fit for a card game to begin with, as all the races on display felt like they could belong in any fantasy archetype. The dim portraits, chromatic aberration, and lack of whimsy lead to a game that doesn't feel particularly welcoming... The opposite of what I'm looking for when playing a game of cards. And the sluggish user interface, no matter the specs of the PC the game is running on, doesn't help matters either. 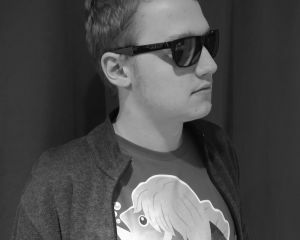 While the game officially released on February 22, it is far from complete at the moment. The single-player Heroic Tales aren't completed. Only three characters out of the six have missions available at launch, and even these characters do not have their entire story available. Something else shines by its absence in Fable Fortune: a Limited game mode, similar to Magic the Gathering's drafts or Hearthstone's Arena. The destiny of any collectible card game is that some buy more than others, some are luckier than others. As a result, there's a growing rift between the quality of decks in the player base. Limited game modes solve this by forcing you to leave behind all the cards you've acquired so far. You need to build a new deck from a random selection of cards as you go. Limited formats are my favorite way of playing card games, as they encourage the player to come up with deck strategies under pressure. The game would benefit a lot from one in the long run. Yet another missing thing became apparent as I started playing Fable Fortune -- this is the last one, I swear. There's no way to check the definition of keywords outside of battles. When you first open a pack and you're not sure what Deflect means on a card you drew, you cannot get that information immediately. You cannot even get it on the deck building screen. You must mouse over a card with that keyword in the middle of the duel! 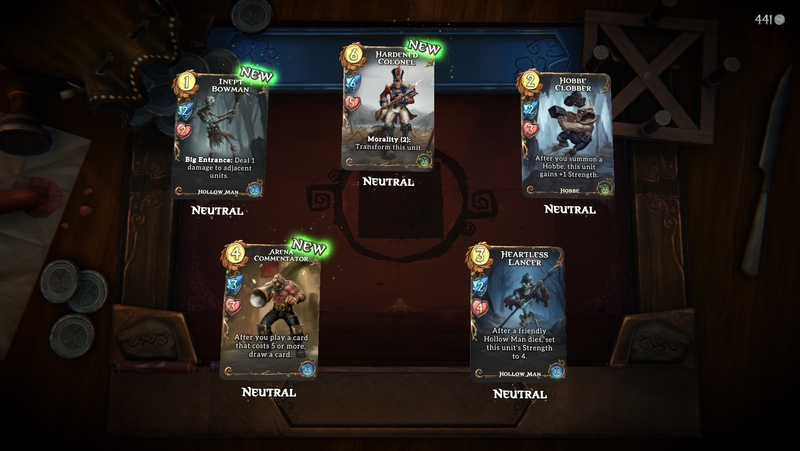 This obvious misstep is why I struggle to recommend Fable Fortune as a collectible card game for beginners, despite the simplicity of its mechanics. I'll give Fable Fortune two things. First, its compatibility with Steam on PC. So many online games have their own clients and friend systems, and keeping track of them is a chore... Hearthstone included. Beyond the convenience of Steam integration, getting to your first matches on a new account is also fairly snappy. You're able to skip the tutorial if you so desire, and even if you decide to try it out it's a quick one. Hearthstone's six tutorial battles and eight additional wins to unlock every hero take forever in comparison. If there's one great thing about online games, however, it's the potential for redemption. Games expand with every patch. Sometimes, they're even reborn. 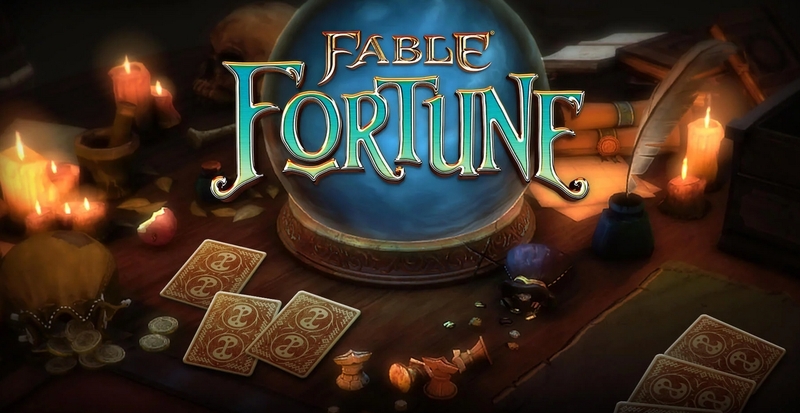 Flaming Fowl Studios has the opportunity to transform Fable Fortune into something more in the future. For now, it's derivative, flawed, and unfinished.